Sidsela Nyebak is a leading corporate responsibility professional in Norway with extensive experience in the sustainability field. 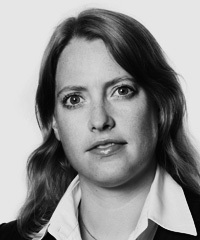 She now works mainly on human rights issues and corporate partnerships with international organizations. A key element of both portfolios is the use of telecommunications technology and services, and how their use can contribute to shared value for society and Telenor Group. Prior to joining Telenor, Nyebak worked at PA Consulting Group in Oslo and the European Public Health Alliance in Brussels.